Tony Porta began training with CAL in 2018. CAL assembled a home fitness center for Tony that included a Concept 2 Rower, a Fitness Bike, a Dumbbell Bench, a Box, a Sled and TRX. Tony immediately embraced the challenge and set goals for every piece of equipment encompassing various movements. Within a few short weeks Tony was destroying his goals and begging for more challenges. One such challenge that Tony embraced was traveling to Phoenix Arizona to train with Jerry Pritchett (Strongman). 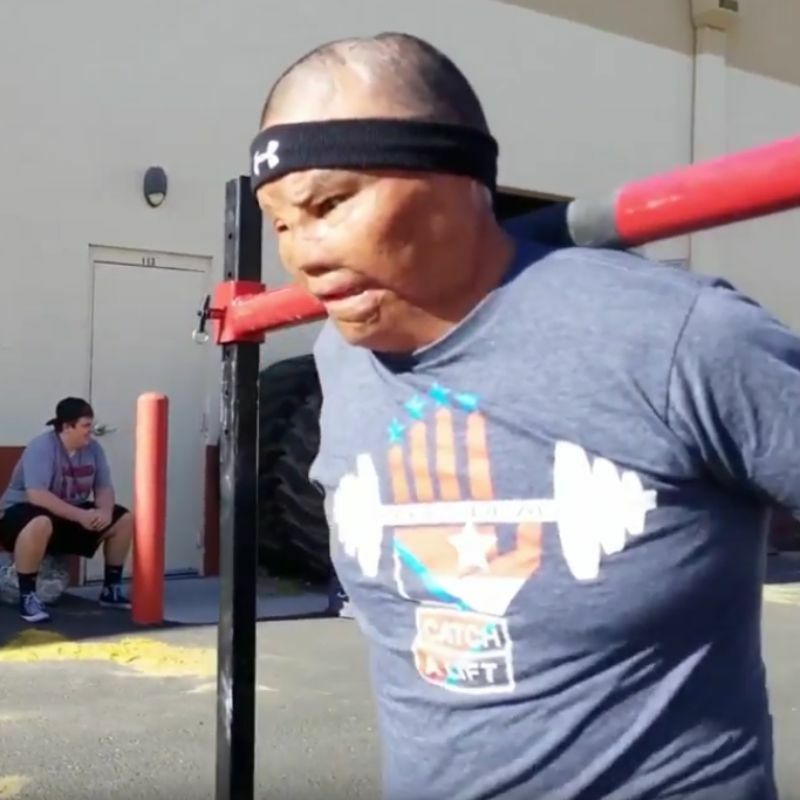 In Arizona, Tony continued to impress carrying and deadlifting weight over 300 pounds. Tony has a “never say no” attitude. He seeks out new challenges and aims to make the most of his achievements. His dedication to fitness, his family and other veterans is a model for all.